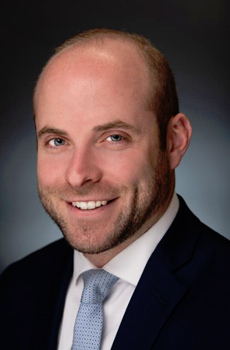 Greg Lederman is an associate attorney at Mullen Coughlin, LLC. Mr. Lederman concentrates his practice on data privacy and cybersecurity beginning with the preparation for, investigation of, and response to all aspects of data breach and network security incidents. He assists in the determination of the nature and scope of the intrusion and counsels his clients as to any legal obligations which result under state, federal, and international law or any contractual duties. Throughout the incident and investigation, Mr. Lederman directs forensics investigators and works with law enforcement to figure out what happened, confirm that the event has been contained and identify any resulting legal duties. Following the data security incident, Mr. Lederman works with clients to ensure legally compliant notification of affected individuals and management of all ensuing state and federal regulatory inquires and investigations. Prior to joining Mullen Coughlin, Mr. Lederman served as an Assistant District Attorney for the Office of the Philadelphia District Attorney in its Major Trials division, where he successfully prosecuted cases ranging from non-fatal shootings, home invasion robberies, complex narcotics cases, and firearms offenses as well as computer and financial crimes. Mr. Lederman was lead counsel on over a dozen jury trials in addition to handling several hundred bench and waiver trials, indicting and investigating grand jury matters, pre-trial evidentiary hearings, and sentencings. Mr. Lederman utilizes his extensive litigation and investigative experience to rapidly and successfully assist clients with the challenges of their unique cyber security incident.